Overhead routing of networking cables on top of the RakworX racks. Two partitions attach toollessly to the roof in various depth. Overhead cable troughs install toollessly on the rack roof eliminating the need for ceiling mounted or underfloor mounted cable trays. 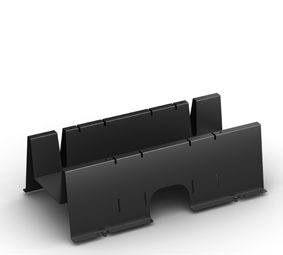 Cable trough and partition are designed to manage both power and data cables and maintain separation. Each partition has grounding wire providing saftety protection against electric shock and reduction of EMI emissions.